Next up we have Julia King, founder of Leeds promoters Pizza For The People – putting both music & street food together under one umbrella. Their gig night fittingly titled ‘Indie Banquet’ sees plenty of upcoming talent play in independent venues across Leeds and has a growing reputation as a night not to be missed. 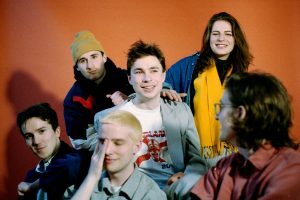 It has so far seen the likes of The Wytches, The Orielles and Vulgarians amongst a whole host of names that have played for them in their first year as promoters. 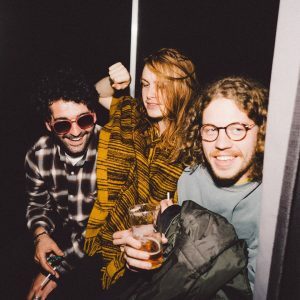 Discover some of the best new artists and bands around right now with Julia’s tips below. Mush consists of Dan, Phil, Nick and Tyson hailing from Leeds. 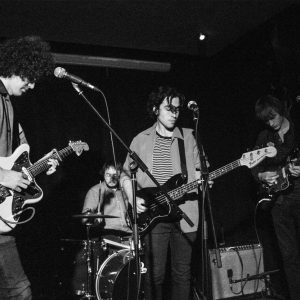 The boys have been in existence for a fair while and self-released their naturally cool and quintessentially post-punk, slacker-garage debut EP ‘Ex-Communique’ in Summer 2017. Aside from their incredible EP, one of my absolute favourite tracks has to be Alternative Facts. Not only does it contain lyrics that are particularly relevant to our current global politics and leaders (…despite unintentional at the time, Dan has informed me), the 10-minute track is orchestrated beautifully and deserves lots of airtime. The boys have recently supported British Sea Power, been spotted and supported by Rough Trade and deserve a hell of a lot of credit for their talent and efforts. 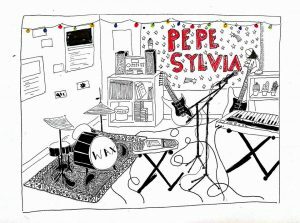 writing songs, with each band member bringing something different yet ‘Pepe Sylvia’ to the table. Another truly talented bunch and definitely a one-to- watch/watch this space kind of band. Violets vibes as I can’t get enough of them. across England. 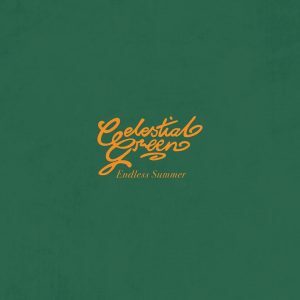 Their care-free, happy-go- lucky and jovial personalities is resonant in their enthusiastic live set and they definitely add a sparkle to any indie set list. Inside Voices brings heavily distorted guitars, soothing vocals and excitement for more Leeches.